11 random facts about me 1. 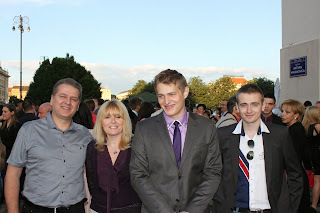 I'm a proud mom of two boys who are now at university, studying mechanical engineering and ICT. I love Twitter, I always have, ever since I first started following Ashton Kutcher @aplusk, (yes, really!) in April 2009. 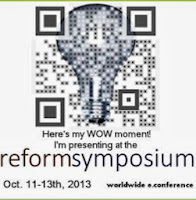 Only a month later, my PLN began to take shape. That was also the time when the first educational Twitter chat took place. 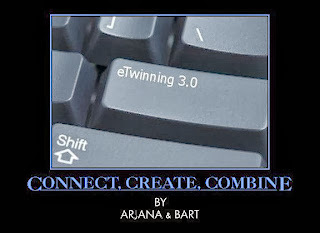 Yesterday, I went even further than that - I led the first eTwinning Twitter Marathon together with Bart Verswijvel, with whom I have already done lots of educational projects that have inspired a huge number of educators worldwide. 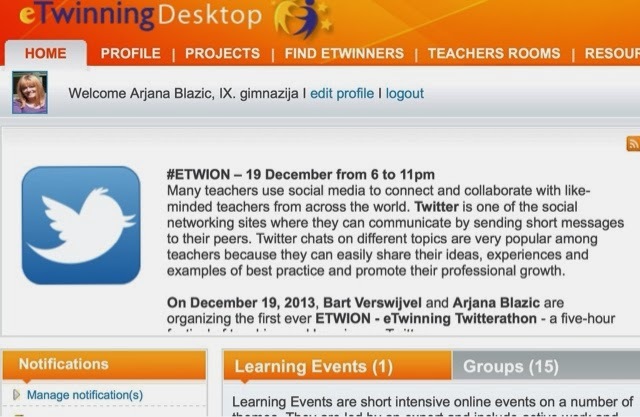 #ETWIONis an eTwinning Twitter Marathon that Bart and I are organizing for eTwinners and educators from all over the world on December 19.